Students using the Learning Space now have additional access to essential course information. 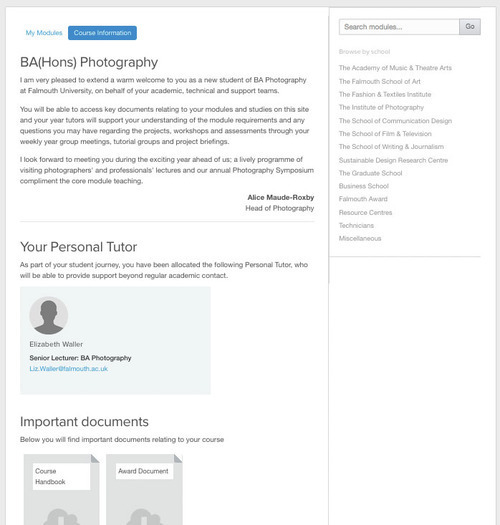 This area is personal to each student, providing a welcome message, personal tutor details and important course documents. It is a minor change that adds a second tab on the front page of the Learning Space. It allows us to provide consistent, useful information up front to students. Please get in touch if you have any feedback or questions regarding this update.